When is the best time to visit Chincoteague Island? 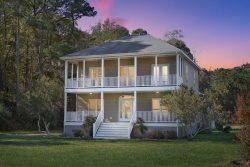 There is so much to enjoy here on beautiful Chincoteague Island in every season! Beach Lovers can enjoy different seasons in Assateague - from sun bathing when it's warm to bird watching the many migratory birds that come our way in the Fall and Winter months. We have many activities planned throughout the year to make it just as fun to visit in the "off-season" as it is during the Summer! From Oyster Festivals to the famous Annual Pony Penning, there is sure to be something for everyone! Don't hesitate to call us and tell us what you're looking for in YOUR Chincoteague Island vacation. We are here to help!